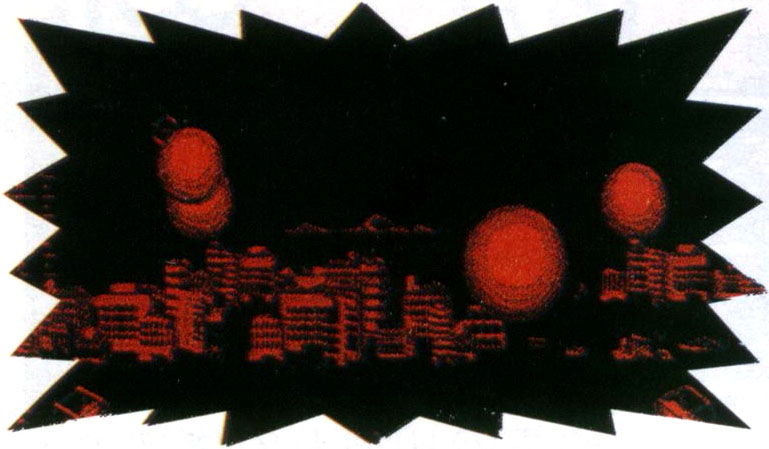 Rare Partial Screenshot of Gameplay. 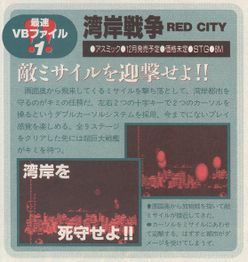 Wangan Sensen Red City (湾岸戦線レッドシティ) is a cancelled Virtual Boy game that was to be released sometime in 1996. 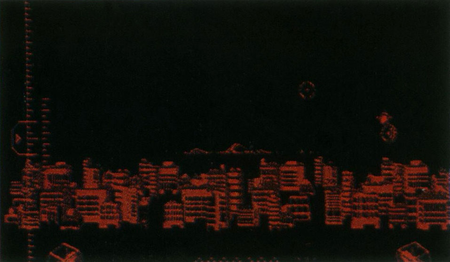 The game, like many others, was cancelled due to the failure of the Virtual Boy. Translating the title of the game suggests that it is a tactical war simulator. The screenshots seem to confirm this. Reviews of the game say that it used both D-pads, was constituted of 9 stages and had a giant warship as a boss. 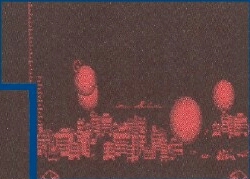 A prototype is known to exist, as well as three screenshots of the game (one of which is a cutout). 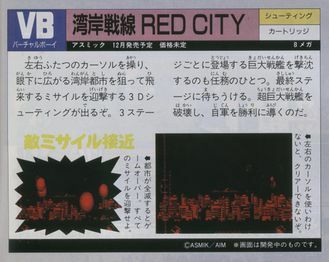 Besides this, little other information about the game exists online and the prototype hasn't been leaked to the internet.